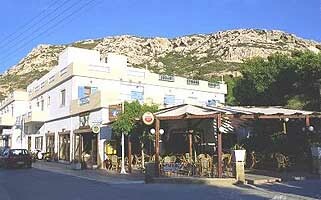 You will find the Hotel Zafiria in the picturesque little village of Matala in southern Crete, just a few meters from the sea and a few kilometers from the ancient ruins of Festos. 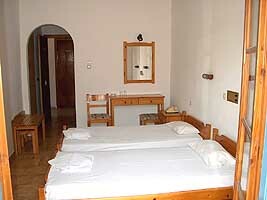 In any of the seventy bright rooms, each with its own balcony and telephone, you can feel as comfortable as being at home. The hotel also provides a lounge area, bar and a beautiful terrace where breakfast is served. The hotel is just a few meters from the beach of Matala, and trips into the surrounding countryside to see the historical sites of interest or the traditional villages are possible by bus or scooter.